THE BENEFITS OF DOWNTIME: TipTop Cleaning Solutions, Inc.
How often do you hear someone saying “I need a vacation?” I just got back from a 5-day cruise that definitely recharged my batteries. According to Forbes, the workplace benefits of taking vacation time include: higher productivity, stronger workplace morale, as well, and significant health benefits. And if you are like me (a business owner) it is also key in employee retention. My cruise was for the wedding of a former work mate from my days working at Pepsi. In fact, this journey reunited me with many of my former colleagues from my time spent in the corporate world. The first port was Nassau Bahamas. All the wedding guests wore the same t-shirts as we ventured out onto Bay St. We enjoyed visiting popular tourist locations such as the Atlantic Resort and Seafood Haven. Guests were treated to fried lobster, fish, conch fritters, and – not to be missed – the famous conch salad. This day was spectacular. I met many awesome people including the groom’s family who are from the Bahamas. It was a treat to learn about their culture. 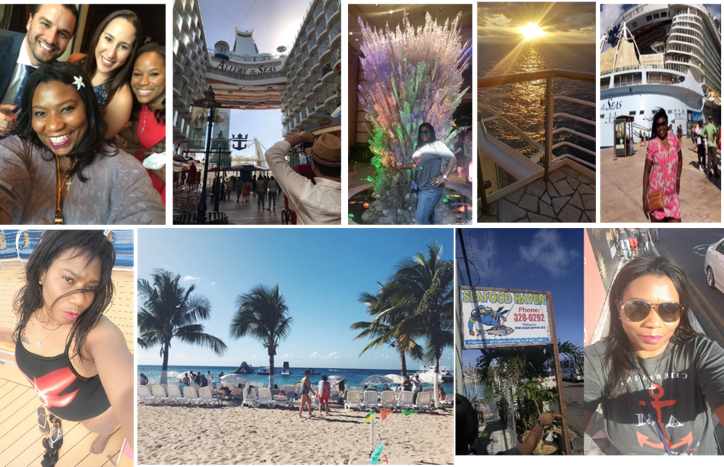 While the ship, Allure of the Seas, offered many fun activities such as a 70s party, a Captain’s ball, and of course a fantastic pool, the real R&R came at Cozumel. While Cozumel famed for its spectacular scuba diving with reefs, lagoons, underwater caverns, we opted for the luxuries of an all-inclusive resort. Just think fun and sun. It was a perfect setting for the wedding guests to have fun. And now, I am back. I’m ready to keep on building the steady stream of clients that I have been blessed to have. I love helping my clients. And, taking the time to focus on me periodically helps me provide the best possible service to all of them. Is Your House Really Clean Enough?